Last week, former UFC lightweight champion Anthony Pettis (pictured) hinted that he had his sights on the featherweight division. On Wednesday, the transition became a reality when it was announced he will make his 145-pound debut against Charles Oliveira. The UFC on FOX 21 event will go down inside Rogers Arena in Vancouver on August 27. FoxSports.com first reported the bout. 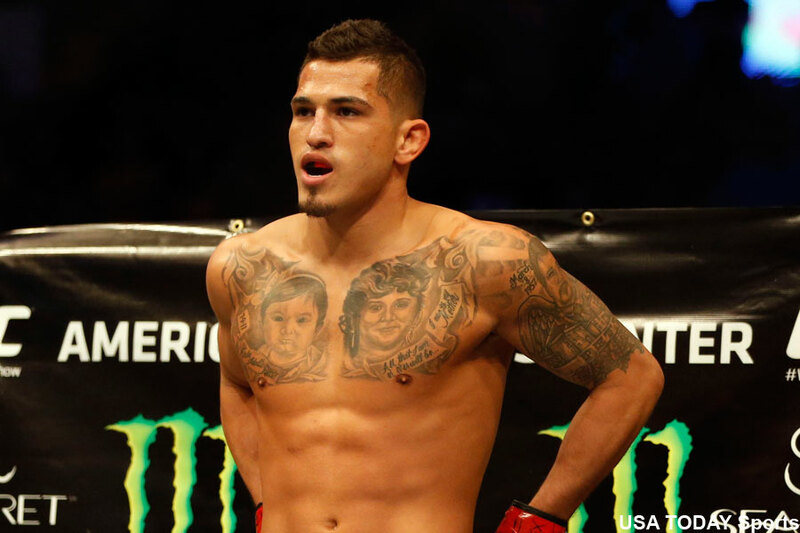 The move to featherweight comes out of necessity for Pettis. The once-promising striker has dropped three straight scraps in the UFC’s deepest division. “Showtime” is hoping a change of scenery will rejuvenate his career. Oliveira is victorious in five of his past six fights. The 26-year-old is looking to build off November’s submission win over Myles Jury.